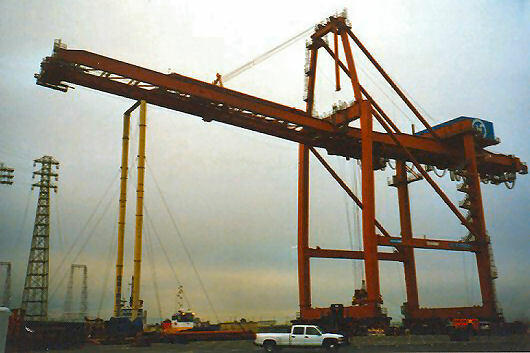 In 1997, a Samsung container crane was relocated from the old to the new Hanjin terminal in Long Beach by Bickerton Iron Works. 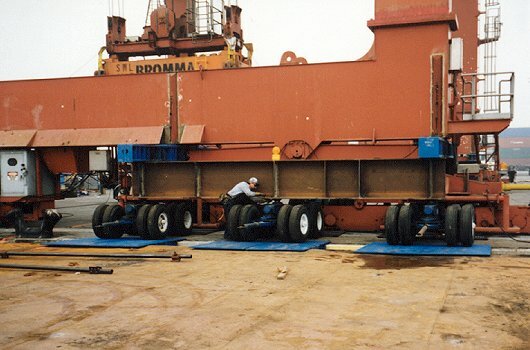 For this relocation, a Crowley 400 x 100 x 20 ft flat top cargo barge was used. 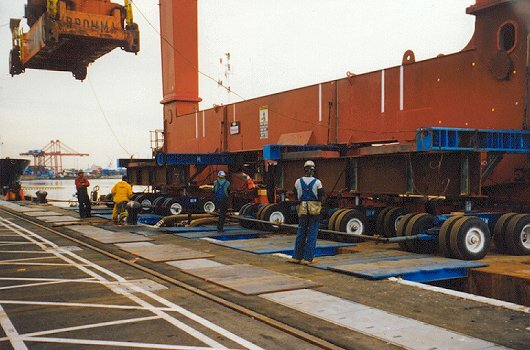 The 900 t crane was lifted off its rails by a large number of hydraulic dollies, which also provided the means to roll the crane onto the barge. Steel bridge pieces spanned the gap between the barge stern and the quay. 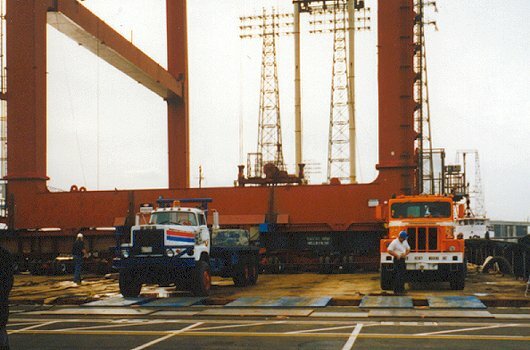 On November 6, 1997, with incoming tide, the crane was rolled onto the barge and lowered on temporary blocks. 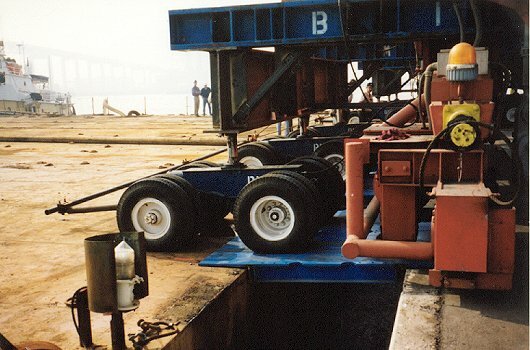 The boom was then lowered onto a boom support after which the A-frame could be removed. This was needed to clear the power cables, spanning the access canal to the new terminal. Less than a week later, the crane was safely rolled off the barge and lowered onto its rails at the new Hanjin terminal . Provision of on-site assistance during actual operations and controlling of the barge ballast operations.